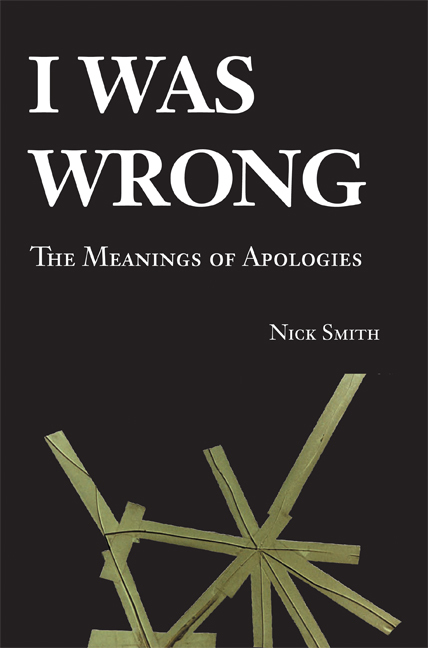 Nick Smith is the author of I Was Wrong: The Meanings of Apologies (2008). Smith is currently a philosophy professor at the University of New Hampshire. He made a living as an attorney before coming to UNH, working as a litigator for a major corporate law firm based in Manhattan. He also held positions as a judicial clerk for the Honorable R. L. Nygaard of the United States Court of Appeals for the Third Circuit, in-house counsel for a New England medical technology corporation, a clerk for a New York State Department of Human Rights judge, and an intern at two public defenders' offices. He specialises in the philosophy of law, politics, and society, particularly as considered through contemporary continental philosophy. He also writes on and teaches aesthetics. His writings have appeared in journals such as Continental Philosophy Review, Social Theory and Practice, The Journal of Social Philosophy, Culture, Theory and Critique, The Rutgers Law Journal, and The Buffalo Law Review.